Toilet paper rolls are as useful as the paper that comes on them. You can make everything with toilet paper rolls from seed pots and compost to bird feeders and even pet toys. Check out these clever uses for toilet paper rolls. Then, invent your own. Cut down on your seed-starting costs by making your seed pots out of toilet paper rolls. It's easy and environmentally friendly, too. Fight cutworms the nonchemical way. A simple collar cut out of a toilet paper roll and tucked around the base of your seedlings will keep cutworms from munching on your young plants. Tear toilet paper rolls up into smaller pieces, and add them to your compost pile. In the world of compost, they count as a brown. Coat a toilet paper roll in peanut butter, roll it in birdseed, and you have a classic bird feeder. Keep extension cords, Christmas lights, and electronic adapters tidy and tangle-free when they're not in use by winding them up and slipping them inside of a toilet paper roll. You can even make a note on the roll to remind you what the wire is for. Keep your bathroom vanity neat, and your hair elastics easy to find, by slipping them over a toilet paper roll. Tired of having to wind up your wrapping paper again and again? Just cut a slit all the way up one side of a toilet paper roll, and slide the resulting cuff over your wrapping paper to end the problem permanently. Roll up any of your kids' art projects that you want to keep, and slip a toilet paper roll over each one. Then, store all of those precious creations upright in a clean wastebasket. Write your child's name and the date on the toilet paper roll, so you won't have to rely on your memory years from now. Stuff a toilet paper roll with dryer lint, and you have the perfect fire starter without any cash outlay. Skip the pricey pet toys. Hamsters, gerbils, and rabbits all enjoy playing with (and munching on) empty toilet paper rolls. 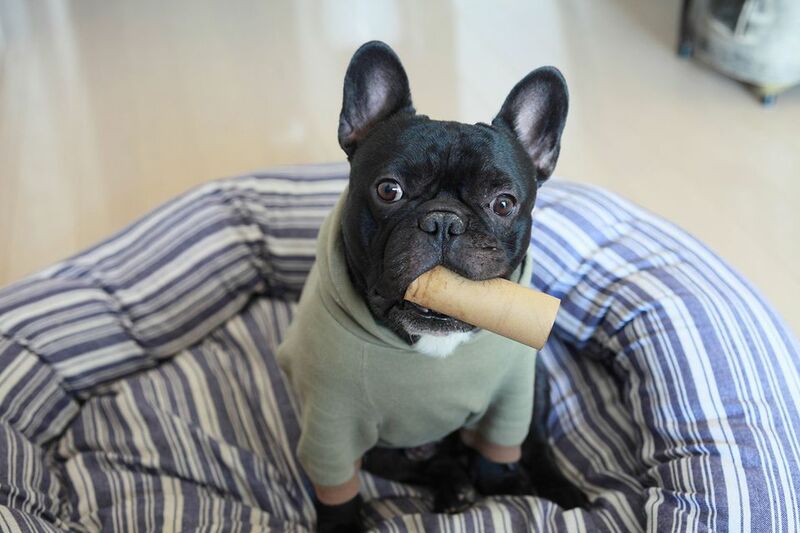 If you don't have any small pets, many animal shelters will accept toilet paper rolls. Use a toilet paper roll to create the perfect box for a small gift. Then, decorate it any way you'd like. You can even create beautiful gift boxes out of toilet paper rolls. In just a few minutes you can make a pillbox, an excellent way to wrap a small item, be it a piece of jewelry, a pin, or money, out of a toilet paper roll. Have a party coming up? Skip the junky store-bought party favors, and make Christmas crackers, aka party poppers, instead. You can fill them with home-baked treats or trinkets of your choosing. Save your toilet paper rolls, and use them in a craft project. You can transform them into an ​advent calendar, puppets, and so many other fun things.